Recently, I have been trying to figure out how to keep the laptops in our office from grabbing an ip address on the wireless connection when they are plugged into the local lan, thus grabbing two ip addresses, not to mention the security implications. Now, one would think this would’ve been something that would have been thought of early on and included in the operating system, or, at the very least, something you could do with group policy on a domain controller. Nope, at least, as far as I have been able to tell. I’m still a little hopeful that I might be able to figure out some registry keys to change, once I find a better registry monitor than the one I have, maybe I will figure it out. It is very easy on most laptops to turn off the wireless connection, such as hitting the function key and F2 on Dell laptop, but who wants to rely on users pressing a key or key combinations every time they login to our network, so, an it has to automatically happen when you dock your laptop or plug in an Ethernet cable. Below I am outlining what I did to make it happen on several different laptops, the ones we actually use in the office. Good thing wireless networks don’t get too finicky and work with most Telephone Systems International. Click on the image to see the larger size. 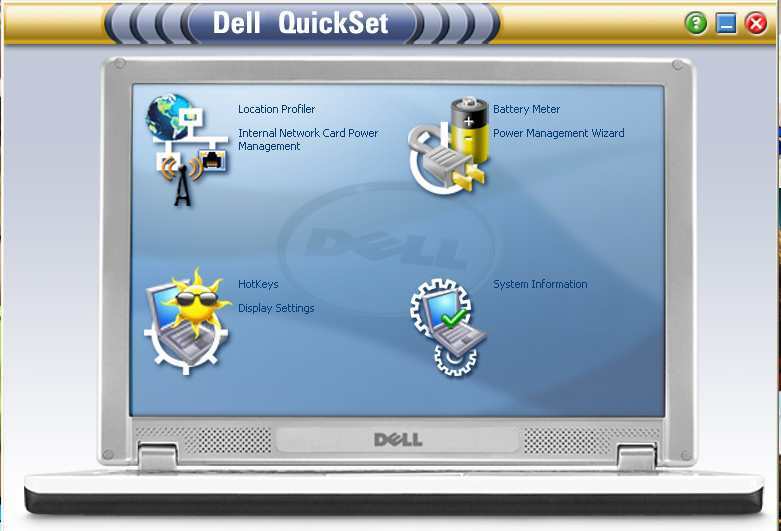 Dell laptops with a Dell wireless adapter in them are very easy to disable when connected to a wired network, on the adapter there is a setting called “Disable Upon Wired Connect”, all you have to do is go into device manager, find the network adapter and double click it and go to the advanced tab. Enable this setting and it will turn off the wireless card when connected to your lan. Want a New PC with Windows XP and Not Vista? Here are some of the manufacturers who are still offering consumers Windows XP instead of Windows Vista. This is actually win-win for everyone as you get a license for both, well, at least for now you do. Save 20% instantly when you customize select Toshiba Satellite laptops online. Offer ends 5.15.08. Shop ToshibaDirect.com today! Get $100 off when you customize select Toshiba Satellite laptops priced $899 or more at ToshibaDirect.com. Use coupon code: LNK100. Offer ends 5.31.08. Buy any Toshiba Satellite laptop with up to 15.4 screen and get a Case Logic Carrying Case Free after Mail-in Rebate. Only at ToshibaDirect.com through 5.31.08. Dell Inspiron 530 desktop $499 with Windows XP (before tax, fees, shipping & handling) after $310 instant savings! Save $549 on a Dell XPS M1530 laptop. Only $1099 (before tax, fees, shipping & handling) after instant savings + FREE Standard Shipping! Save $549 on a Dell XPS M1330 laptop. Only $1049 (before tax, fees, shipping & handling) after instant savings + FREE Standard Shipping! Save $433 on Dell XPS 630 desktop. Only $1199 (before tax, fees, shipping & handling) after instant savings + FREE Standard Shipping!